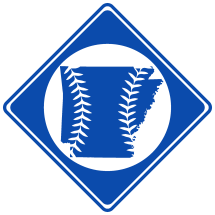 Nicknamed the "Year of the Arkies" by Arkansas Democrat Gazette writer Jim Bailey, the 1934 Major League season was greatly influenced by Arkansas natives. The 1934 World Series between the St. Louis Cardinals and the Detroit Tigers was greatly influenced by Arkansans. Brothers and Arkansas natives Dizzy and Paul Dean, along with El Dorado, AR resident Schoolboy Rowe, started 6 of the 7 series games to account for more than half of the total innings pitched during the series. Combined, the three won 5 games, threw 6 complete games, and posted a 1.92 ERA.